– don’t succumb to the last minute panicked extras! Whilst it isn’t always possible, taking carry-on only is the best way to travel. It’s unlikely you’ll lose your luggage, and you can move quickly and freely between airports, hotels and meetings and even have the option of utilising share bike schemes. We’ve design the CoPilot range to be the best garment bag (or suit bag depending on your vernacular) for carry-on travel. Our patented design rolls your hanging garments to minimise creases. It has enough room for two suits or an equivalent load within the outer shell. So if it’s a wedding you’re heading off for, you can pack a suit and a dress in the outer garment compartment. Unlike other garment bags, the CoPilot has been designed to accommodate shoes, laptop, toiletries and other casual clothes in the inner bag. 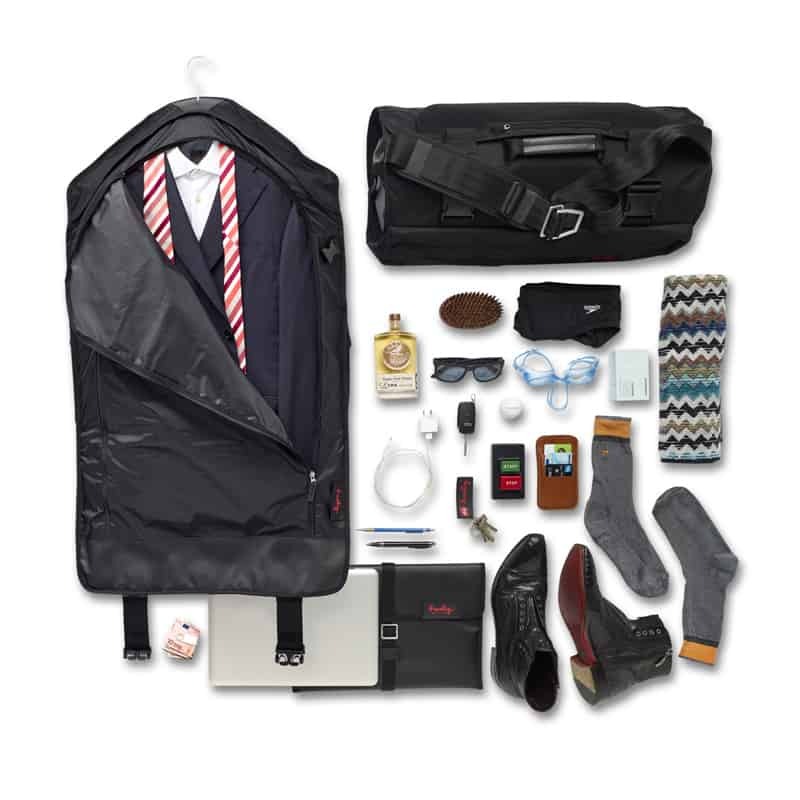 No other garment bag reduces creases to the same extent as the Henty CoPilot. For best results make sure you take care to pack your clothes flat. No one wants to get the iron out after a long commute or flight! The Henty CoPilot makes a pretty nifty Christmas gift. The travellers in your life will appreciate this considered present. Or treat yourself this silly season! No Replies to "Frequent Flyers"